WhatsApp is working on a dark mode for its app, according to a Twitter-based leaker. The relevant posts project that this option will be OLED-screen friendly. Dark mode may also help save battery life while messaging on the app. 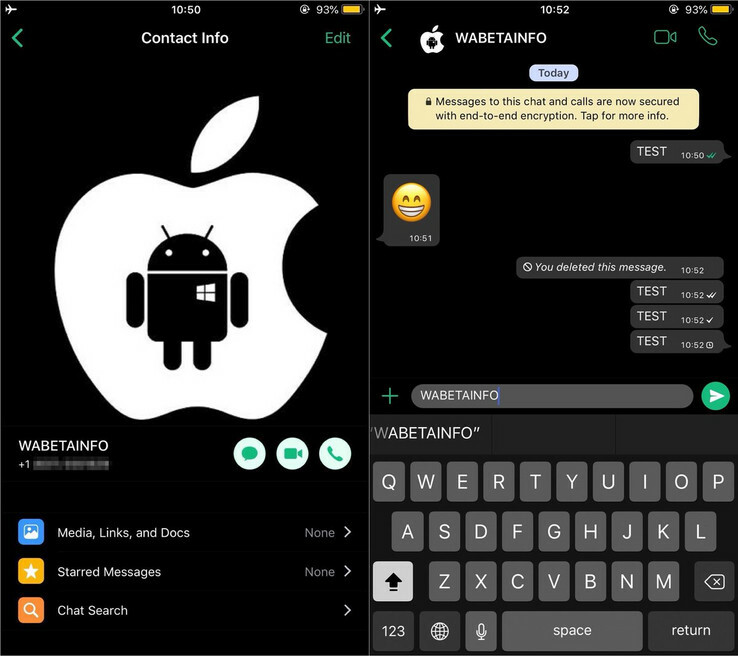 Dark mode, in which the background of an app is converted from white to black or a dark color, is seen as advantageous by many mobile device users. In addition, it is less stressful on non-LCD panels, which must actively power the pixels responsible for the pale background. OLED panels may also have a reduced risk of burn-in with dark modes. Finally, it may reduce eye strain, particularly for those using a smartphone or tablet late into the night. This may be why YouTube has finally included the option for dark mode in the latest update of its Android app. Now, a leak released by a Twitter user suggests that WhatsApp is about to follow suit. The tweet claims to be able to "exclusively reveal" that the app's developers are working on a non-bright mode. However, the 'leaker' (@WABetaInfo) did not mention which platforms will be able to access this option. Presuming this leak is true, it may be good news for WhatsApp users who do not use alternative clients or themes for their messaging experience.